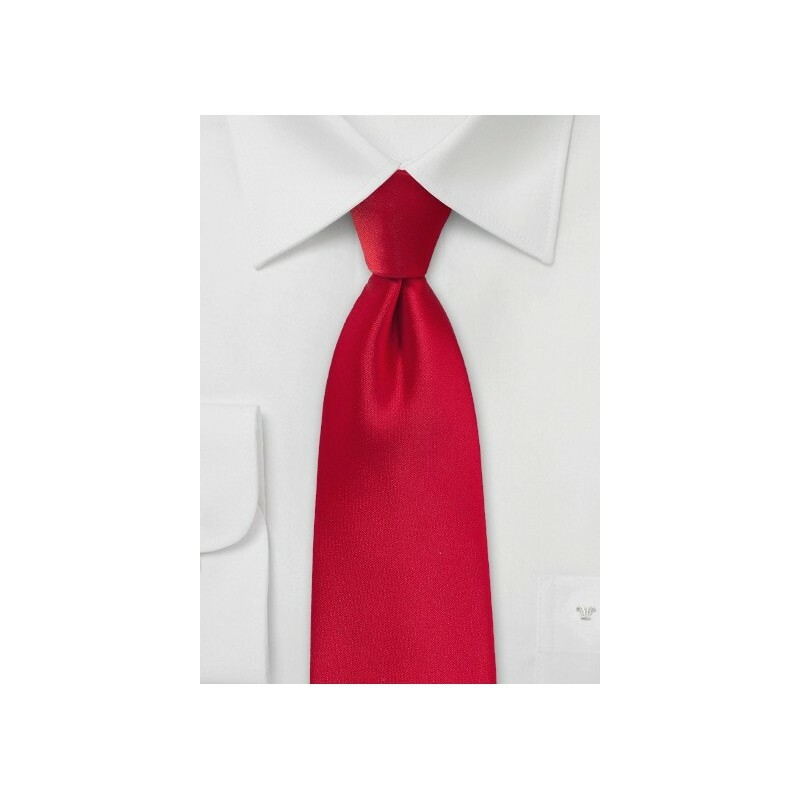 You're ready for your red carpet moment when you don this Solid XL Sized Tie in Cherry Red, from the menswear experts at Puccini. Its sultry red hue is accentuated by a finished shine that looks fantastic no matter what light its under. Due to popular demand, Puccini brings you this piece in a longer length at 63" for taller men. 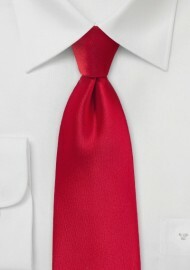 Woven from man-made microfiber. Wrinkle and stain resistant.